If you've been scheduling a lot of Posts to a lot boards, you've probably noticed that your queue looks pretty inorganic because the same Posts are back to back. This is a good time to try out Drag and Drop to easily re-arrange the Scheduled Posts in your queue so you aren't posting the same Post so many times in a row. 2. Within the Your Schedule section of this page, click and hold any Post to drag and drop to another timeslot. Try dragging a Post to a future date or drag a Post from the future to today. Magic. 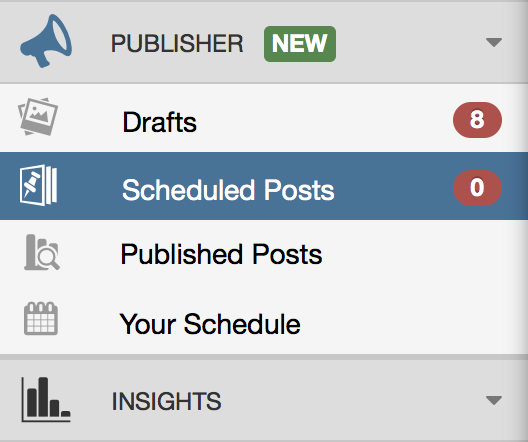 Unlocked Posts will shift around the newly opened time slot to fill in the gap. You can even drag and drop a locked Post, and a Post that has been manually scheduled!